I love wolves. They are one of the most magnificent animals in North America. When I lived in Alaska — I was there for 15 years — I spent a lot of time in wolf country, and was able to learn a lot about them. They're beautiful, smart, strong, fast and unsurpassed as a predator of game, large and small. Therein lies the problem. When wolves are left unchecked, they can, and do, decimate ungulate populations to the point where few animals are left. All those folks who say they only kill the sick and weak have never watched a pack of wolves eat a healthy, mature bull caribou alive as I have. They have never seen the trail of death a pack of wolves leaves behind as it kills to teach its pups how to hunt, or just for fun, eating little of the animals whose lives they have just ended. I've seen where wolves have killed Dall's sheep rams at the top of the mountain in the deep snow of spring, watched them chase mountain goats along the tree line of a Southeast Alaska forest in August, and shred a cow elk in the Yellowstone basin. Recent wolf hunting seasons in Idaho and Montana, and the de-listing of wolf packs from endangered in the Great Lakes states, are hopefully just the beginning of keeping lower 48 wolf populations under control. Here's why we need to start killing more lower 48 wolves right now. 1. Too Many Wolves: Left unchecked, wolf populations grow rapidly. This is especially true in areas where there are lots of animals for them to eat — like the Yellowstone ecosystem. Because wolf numbers exceeded targeted reintroduction population goals in the Yellowstone ecosystem more rapidly than expected, the animal was removed from the Endangered Species List and a sport hunting season on wolves was instituted in 2009. The seasons held in Idaho and Montana were supremely successful, with hunters killing 72 of the 75 wolves on quota in Montana, and 188 of a 220-wolf quota in Idaho. In addition to that, in 2009 government shooters killed 256 more wolves identified as livestock killers. In all, government hunters have killed more than 1,200 wolves over the past 15 years. I wonder how much money that cost the taxpayer? Tag sales generated $528,697 — all for wildlife conservation — while hunters killed just 22 percent of the estimated total Idaho wolf population and 14 percent of the estimated Montana wolf population. And since wolves reproduce at an annual rate of about 20 percent, there was not even a net loss in the overall population as a result of the hunt. 2. Wolves Are Decimating Ungulate Populations: Ask anyone who has been guiding hunters in lower 48 wolf country for any length of time, and they'll tell you that since the reintroduction of the wolf, local deer, elk, moose and sheep populations have plummeted. Lower ungulate numbers mean that game managers, whose job it is to try and keep a balance between animals and habitat, are forced to offer less hunting permits for sportsmen. That, it turn, means less hunting license revenue for the affected states, whose game management budgets are derived largely from the sale of these same licenses and tags, particularly to nonresidents. This has to stop. 3. Deer and Elk are in Hiding: Those deer and elk not killed by wolves are not stupid. They know that unless they leave the "easy" country and head for the nastiest, toughest terrain around, they'll soon find themselves on the wolves' dinner menu. 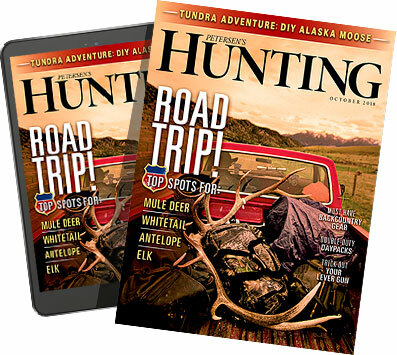 I have several friends who have quit elk hunting in wolf country for two reasons: Overall numbers are down, and the animals that are left have retreated to country so rough that hunting them has become a Herculean effort. Is that what we want? 4. Wolves Love "Muffy": Being an equal opportunity predator, wolves that patrol areas inhabited by humans just cannot help themselves. If they find domestic livestock or your pet in the wrong place at the wrong time, they turn it into lunch. Ranchers have complained bitterly about this to the point where some animal rights groups have set up funds to mitigate livestock losses in the hopes that this will keep people from killing their precious wolves. Talk about a nightmare. 5. Wolves are Poster-Boy Animals: Wolves are spectacular and they are beautiful, making them an easy choice as a poster child for the animal rights wackos. I've actually had officers from some prominent animal rights' groups tell me that when they need to raise some quick cash, all they have to do is send out a mailer with the picture of a wolf on it that begs their donors for a few bucks to keep the evil hunters from killing these poor, innocent creatures. They do not care a whit about biology or modern game management practices, they just care about collecting some cash and firing up their base to try and stop hunting. It's a win-win for the ARWs. I hate that. 6. Continued Litigation: Wolves have been, and will continue to be, the focus of litigation brought on by the ARWs, who want to end all hunting and let the animals run wild and free, like something out of an old Disney movie like "Bambi." They believe that animals should have equal, if not more, rights than humans, and therefore animals should take priority when decisions are made about land use. It is this kind of shortsighted thinking and self-absorbed attitude that makes me wonder what color the sky is on the planet these "environmental" groups inhabit. They will say or do anything to get what they want. I'm sure some of the members of these very small organizations have noble intentions, but come on. You can, and should, check them out on their websites — wildearthguardians.org, wildrockiesalliance.org and friendsoftheclearwater.org — to give you an idea of what common-sense thinkers and sportsmen are up against in this crucial battle. You can also track what the USFWS is doing on their website. For more information in the ongoing wolf wars, visit the Rocky Mountain Elk Foundation's website.